I almost feel spring in the air, could that be right? We are having some lovely weather this weekend but I’m sure the cold will be back for a few more weeks. I am such a seasonal cook. I say, “what’s local is best”! And that means cooking from my garden and local farm stands. Right now not much is growing, except in local greenhouses, so I’m so looking forward to the earth waking up and blessing us with great things to eat! For now I’m eating from last year’s bounty safely tucked away in my freezer! I know my favorite pot roast is on the menu here at StoneGable quite often. Yes, we love it and it is a great family meal! Leftovers make the best sandwiches or even fajitas! YUM! 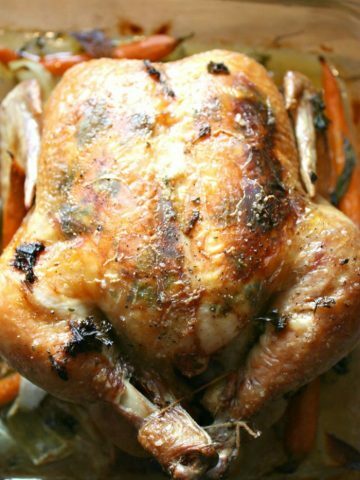 Make an extra big roast and use it as leftovers! Do you like to add a little of this and that to a recipe? I think that is why I love cooking so much more than baking. I take lots of liberty. I’m adding potatoes and carrots, extra fish, and some silky cream to this stew recipe! I adore marsala in almost anything! It’s rich and a little sweet and complex. If you have never cooked with Marsala please do it this week! Tonight’s dinner is a take off of hamburger’s and french fries. I’m changing up the hamburger for a scrumptious chicken salad I make almost weekly! Even if you don’t make this flank steak… make this marinade! It’s fabulous, amazing, wonderful and yummy to the 6th degree! Use is to marinade chicken, fish, pork and as a salad dressing. My fav way to use it is over grilled veggies! And if you make one thing on this menu make the mac and cheese… and the marinade. Yes, it’s two. You will thank me! I try to eat salmon once a week. I love it for lunches when I’m out with my friends but then Bobby does not get the benefits of salmon if I don’t make it at home. So this is for you sweetheart! 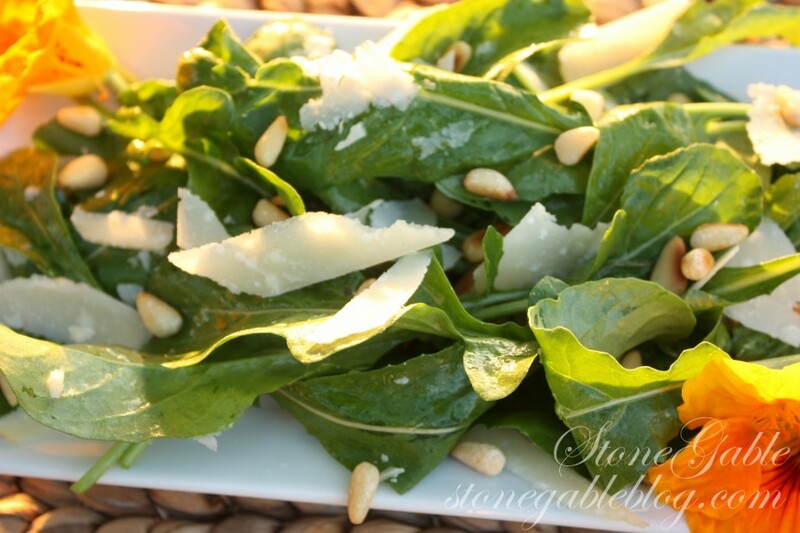 Arugula salad is a must try! We love it! 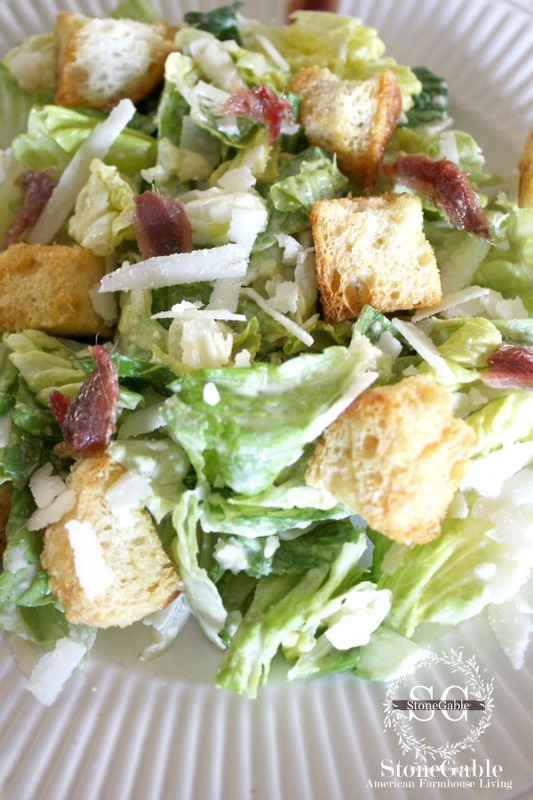 I judge a restaurant by its Ceasar salad. I make the best ever! No bragging… just fact. It’s all about the dressing. Poo to that sorry-bottled-excuse-of-a-Ceasar-salad-dressing! They are a pallid and poor imitation of the real scrumptious thing! If a restaurant serves bottled dressing I turn my snooty, culinary nose up! Make the dressing!!!! It’s easy and can be frozen in ice cube trays. You and your family will love it and beg for more! And you just might start judging restaurants by their Ceasar salad dressing too! And try the anchovies for goodness sake! 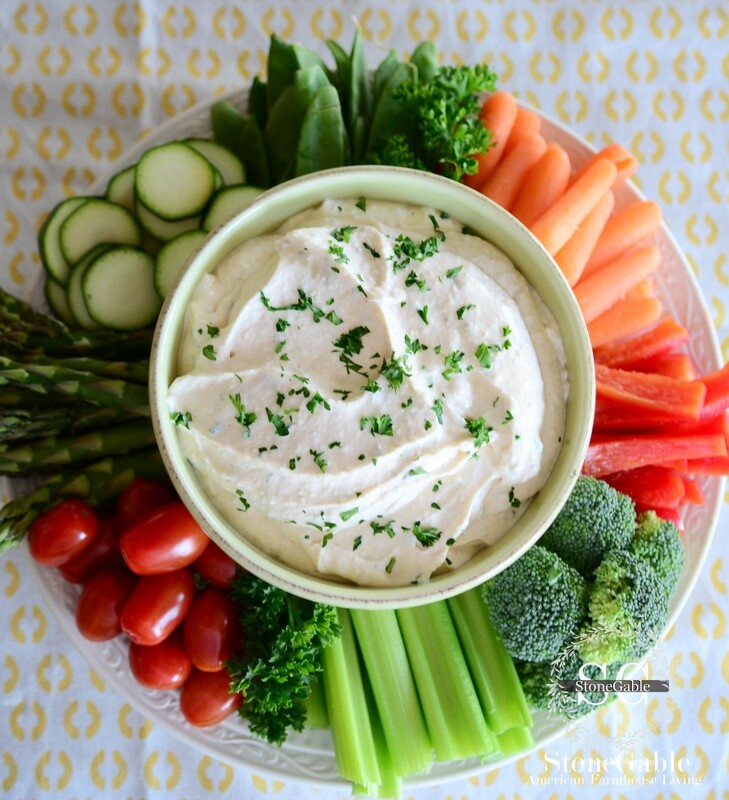 The only dip/dressing you will ever need. It’s THE dip! 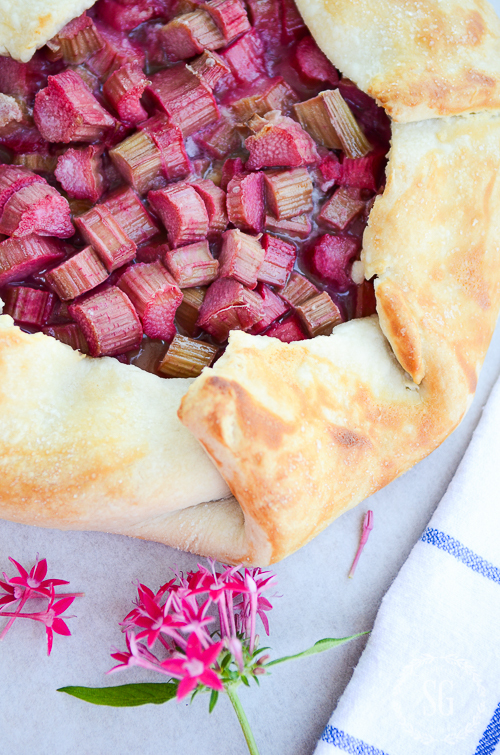 I have some summer rhubarb from the garden in the freezer so it’s going into an easy, beautiful galette! Now you know what’s on my menu. What are you cooking this week? 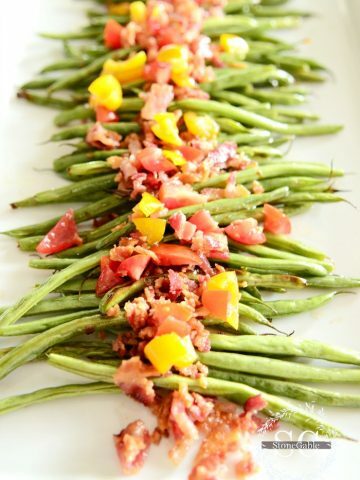 You might like to follow me on Pinterest and see over 2,00o recipes I’m saving HERE. How can I locate your recipe from the week of August 27, 2012 for Crab Stuffed Crepes. I can’t seem to ind where to go on your site. Always enjoy your posts, especially spring right now. Looks like we are almost there, no transition in the south! Everything is blooming! I am definitely going to try some of those yummy recipes. I so love your podcasts!!! Each one is more delightful than the last!!! So inspirational! Also, the food recipes are so spot on! Love love love this posting! Can’t hardly wait to try these! Delightful! I definitely want to try your Caesar dressing now! That chicken salad looks so good and appetizing! Your menu of the week is my favorite section. I have loads of cookbooks and 4 different files of recipes, but just make the same things all the time because it is easier. But now, I use some of your suggestions to broaden my ideas for the week. Thanks. I’m all over that Rhubarb Galette! Do I recall that you have a recipe for Rhubarb Hand Pies? I did a search and came up empty so maybe I was dreaming…of rhubarb. 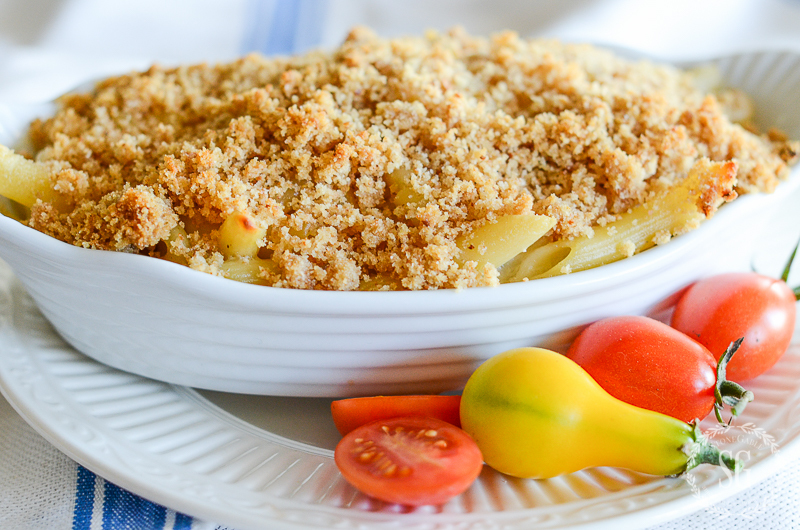 Lots of comfort food this week – pot roast, macaroni & cheese – yum!!! Thanks for sharing your recipes. Thank you again, Yvonne for posting your menu. This was my big request when you asked for input on your survey. I appreciate it so much. My family loves your recipes! I think I’ve told you before but your pot roast is on heavy rotation here and the that chicken salad will be made this week; it sounds so yummy. Definitely different than what I’m used to. I’m with you on all the nuts and fruits. So many recipes call for the pecans, grapes, apples, etc. While that’s good your recipe sounds like a nice change. Just picked up a roast…. this sounds perfect ! And I’m always looking for a good chicken salad recipe ! I can’t wait to try your recipe for the Caesar dressing. I’ve never found one in a bottle I like and not too many restaurants either. I never would have thought about freezing salad dressing. What a great idea. 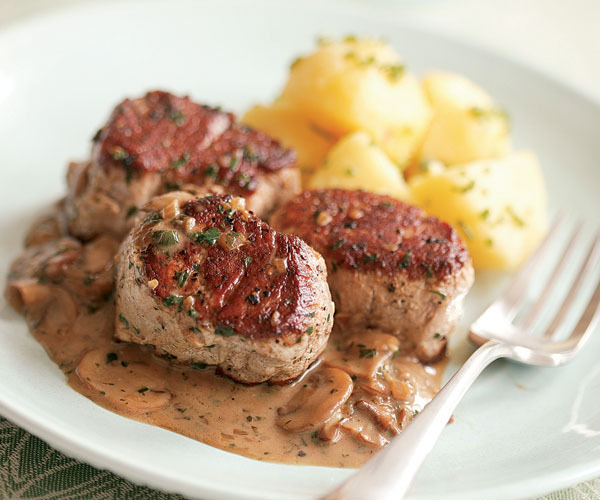 Oh yummy..these recipes look delicious…I certainly will be trying the Pork Tenderloin with Marsala.? 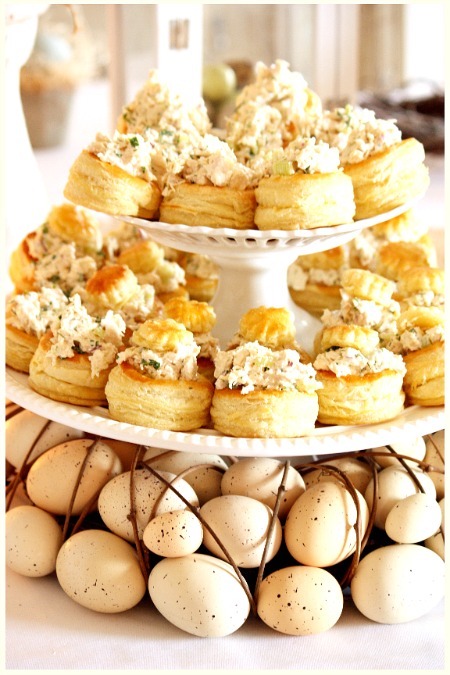 I’ve done the chicken salad in the puff pastry…tastes wonderful and looks so pretty served at a tea! The recipes are so tempting!! Pinned them to try them! Thx for the inspiration! Great menu this week. Can’t wait to try the pot roast recipe, it’s a little different than mine. The menu look great! I have been trying new recipes lately and many of these will be added to my list! Thanks so much for sharing. Can’t wait to make the pot roast and “the dip”!! 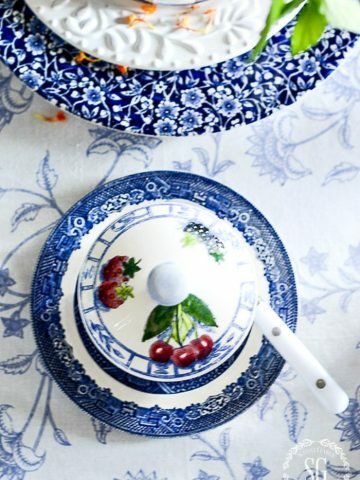 I really enjoyed your tablescapes article! It had so many fun and easy ideas for You to use at home. 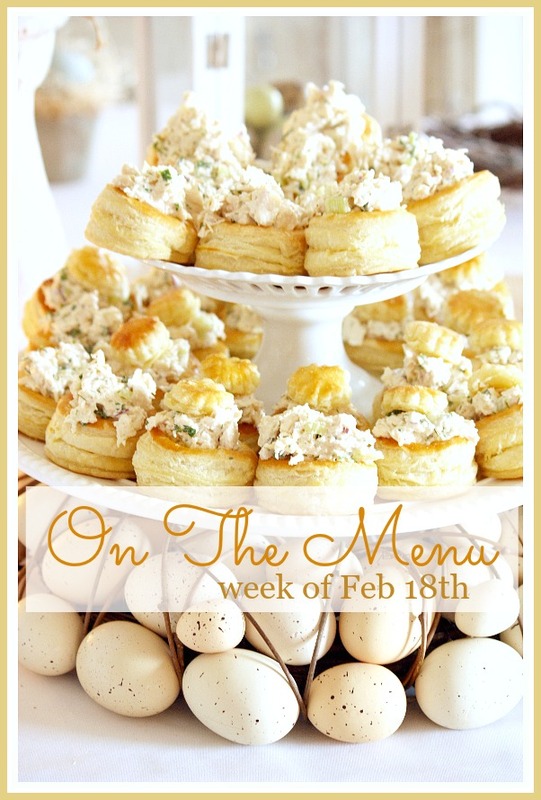 I also enjoyed seeing your menu for this week! Delicious! Thank you again, Yvonne! Thank YOU! I love love love my pinners! 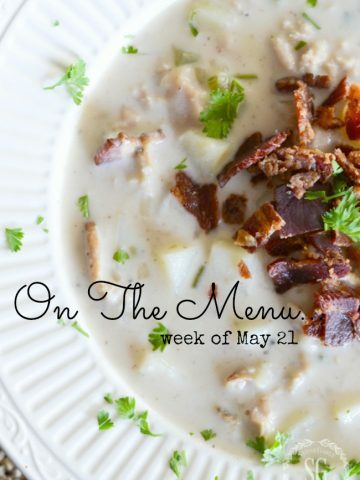 I have been loving your “On the Menu” posts! Thank you so much for inspiring foodies like me who are running out of ideas. The selection of meals this week is beyond superb! You always do such a great job on meal planning and home decorating. 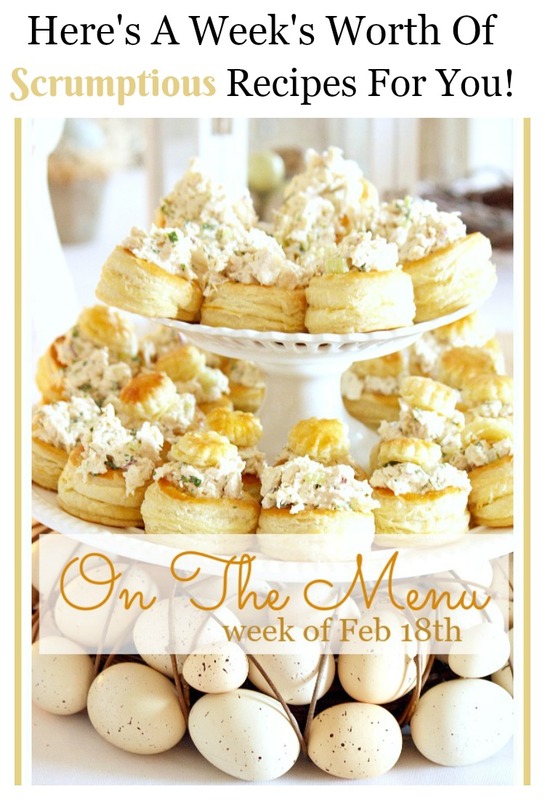 I’ll definitely be trying several of your recipes this week, especially “THE” Dip! Blessings on you, Yvonne! You will love THE DIP! All these recipes sound yummy. Thanks for sharing with your readers. thank you for the wonderful recipes I am going to make the Pork Medallions in Marsala sauce Hope you have a great weekend. Yum! Makes me hungry just reading these delicious recipes. Thanks for bring back this feature. That chicken salad looks so pretty and so good ! I just love all of your recipes. Everything looks delicious. 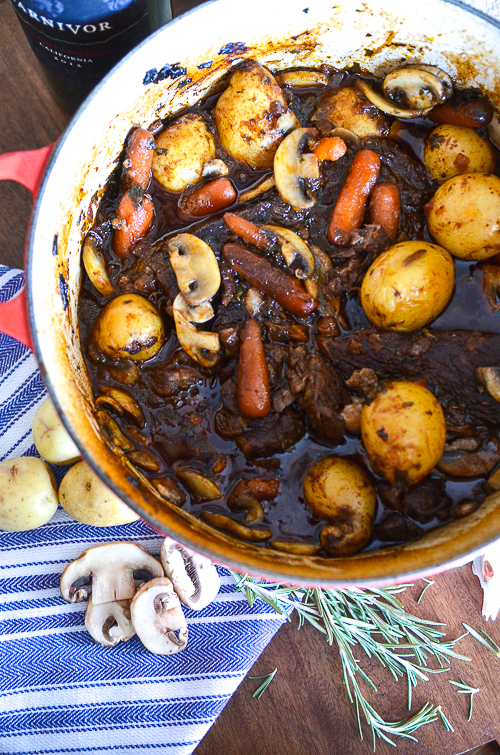 I usually do my pot roast in a crock pot soI can put it in and go, but I’m going to try your recipe tomorrow. Thanks for the great recipes. I might try your mac and cheese this week. I agree with you about the bottled salad dressings. I have started making them from scratch and they really are so much better. Want to try that chicken salad because it looks so good. I can’t wait to eat it! What type bread is the chicken salad being served in that picture?? Never mind! I found your puff pastry instructions!! It all looks amazingly delicious! I think that chicken salad will be on my table this week! Wow – thanks for the yummy recipes.